The original Flask-OAuth suffers from lack of maintenance, and oauthlib is a promising replacement for python-oauth2. There are lots of non-standard services that claim they are oauth providers, but their APIs are always broken. While rewriting an oauth extension for Flask, I took them into consideration. Flask-OAuthlib does support these non-standard services. 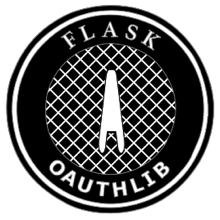 Flask-OAuthlib also provides the solution for creating an oauth service. It supports both oauth1 and oauth2 (with Bearer Token). All contributions to Flask-OAuthlib should keep these important rules in mind. A large number of open source projects in Python are BSD Licensed, and Flask-OAuthlib is released under BSD License too. Copyright (c) 2013 - 2014, Hsiaoming Yang. Neither the name of flask-oauthlib nor the names of its contributors may be used to endorse or promote products derived from this software without specific prior written permission.